Mississippi Governor Phil Bryant has named 44-year-old environmental lawyer Gary Rikard to replace the outgoing executive director of the Mississippi Department of Environmental Quality. Rikard is a resident of Olive Branch, Mississippi and was previously an attorney for the department back in the 1990s, where he has also worked as an environmental engineer. 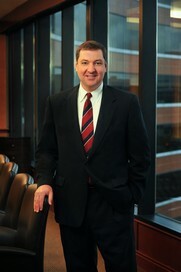 Rikard and his law firm have represented a number of entities before the Department of Environmental Quality, including Hercules Inc. That company and its parent, Ashland Inc., are being sued by the city of Hattiesburg, claiming groundwater contamination from a closed Hercules factory may leach into the city’s water supply. Many anticipate that Rikard’s expertise will make him an exceptional executive director of Mississippi’s Department of Environmental Quality.